Daily Zohar # 2121 – Kedoshim – Remember that! 48. אֲבָל מִי שֶׁלֹּא מִשְׁתַּדֵּל בַּתּוֹרָה וְלֹא מְשַׁמֵּשׁ חֲכָמִים לִשְׁמֹעַ מֵהֶם מִצְווֹת, לְקַיֵּם נַעֲשֶׂה וְנִשְׁמָע, אֶלָּא שֶׁסָּרַח וְעָבַר עַל לֹא תַעֲשֶׂה, הוּא שָׁקוּל לְאֻמּוֹת הָעוֹלָם עוֹבְדֵי עֲבוֹדָה זָרָה, בְּנֵי סָמָאֵ”ל וְנָחָשׁ, שֶׁנֶּאֱמַר בָּהֶם (משלי ג) וּכְסִילִים מֵרִים קָלוֹן, שֶׁלֹּא רָצוּ לְקַבֵּל אֶת הַתּוֹרָה, שֶׁכֹּל שֶׁאֵין בּוֹ תּוֹרָה, אֵין בּוֹ כָּבוֹד, שֶׁנֶּאֱמַר בָּהֶם (שם) כָּבוֹד חֲכָמִים יִנְחָלוּ. 49. וְעִם כָּל זֶה, רָאשֵׁי הַיְשִׁיבָה, לֹא כָּל כָּבוֹד שָׁוֶה, שֶׁהֲרֵי בֵּן יְכַבֵּד אָב וְעֶבֶד אֲדוֹנָיו. בֵּן יְכַבֵּד, עַל מְנָת שֶׁלֹּא לְקַבֵּל שָׂכָר, אֲבָל הוּא מְצֻוֶּה בְּכִבּוּד אָב וָאֵם. וְאִם לֹא רוֹצֶה לַעֲשׂוֹת צִוּוּיוֹ, יַכּוּ אוֹתוֹ הָאָב וְהָאֵם עַד שֶׁיַּעֲשֶׂה בְּעַל כָּרְחוֹ. וְאִם הָיָה בֵּן גָּדוֹל, בֵּית דִּין כּוֹפִים אוֹתוֹ. שֶׁאִם אֵינוֹ רוֹצֶה לַעֲשׂוֹת, מַה כָּתוּב בּוֹ? (דברים כא) בְּנֵנוּ זֶה סוֹרֵר וּמֹרֶה אֵינֶנּוּ שֹׁמֵעַ בְּקֹלֵנוּ, וְדָנִים אוֹתוֹ בִּסְקִילָה. אֲבָל עֶבֶד שֶׁמְּשַׁמֵּשׁ עַל מְנָת לְקַבֵּל פְּרָס, אִם אֵינוֹ עוֹשֶׂה אֶת צִוּוּי רַבּוֹ, אֲדוֹנוֹ מַעֲבִיר אוֹתוֹ מִתּוֹךְ בֵּיתוֹ וְיִקַּח אַחֵר, מַה שֶּׁלֹּא הָיָה יָכוֹל לַעֲשׂוֹת כָּךְ לִבְנוֹ, אֶלָּא אוֹ שֶׁיַּעֲשֶׂה אֶת הַצִּוּוּי שֶׁלּוֹ, אוֹ שֶׁיַּהֲרֹג אוֹתוֹ. Those who don’t make efforts to study Torah and don’t support the teachers with wisdom and listen to them to follow the precepts are considered as Idol worshipers who follow the negative side. They get disgraced (See DZ 2119). Those who are born close to the Torah are considered ‘sons’ and should honor the Torah like a son honoring his father. They should do it without looking for personal gains as proper for a good son. If they don’t give honor to the Torah and follow the precepts, they get ‘corrected’ with opportunities to come back to the path of Torah and precepts. Those who come to the Torah looking for personal gain are considered as servants pleasing their master to receive their payment. If they don’t follow the laws of the master he just sends them away from his house. The connection to the Torah should be with full heart and mind because the reward for desiring the Light is a bigger vessel and ability to hold more Light. The ultimate reward of adhering to the Torah and its spiritual laws is immortality. Many people nowadays come to Kabbalah because of different reasons. Those who come looking for some spiritual magic should not waste their time. The Ana B’Koach, the 72 names, prayers and other spiritual tools are made to connect to the pure system and the ‘cause’ should be also pure in order to receive the pure Light. Using the Kabbalah tools like crafting tools, to make things happen in this world would probably bring judgment rather than blessings. The fruits of the ‘Tree’ is ‘Life’! Remember that! The happiness that comes to those who support her is Light that shines on them in this world. The Light can be manifested in many ways but regardless of the outcome, our consciousness should always be about connecting to life. The highest level of the prayers is during the repetition of the silent prayer by the leader, when the entire congregation recites ‘Kadosh, Kadosh Kadosh’ (Holy, Holy, Holy) while raising our heels with the aspect of connecting to Binah. Just before that we make a blessing related to the resurrection of the dead. This should always be our focus. 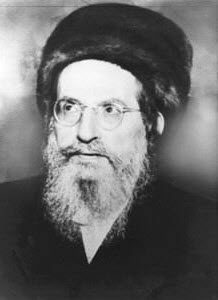 Not the temporary life but the ultimate future that all the great Tzadikim of the past worked hard in their lives to achieve.